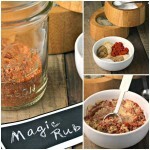 Summer suppers just got a lot easier with this EASY Magic Rub for Grilled Chops and Veggies. Summer suppers just got a whole lot easier! No time? No worries! 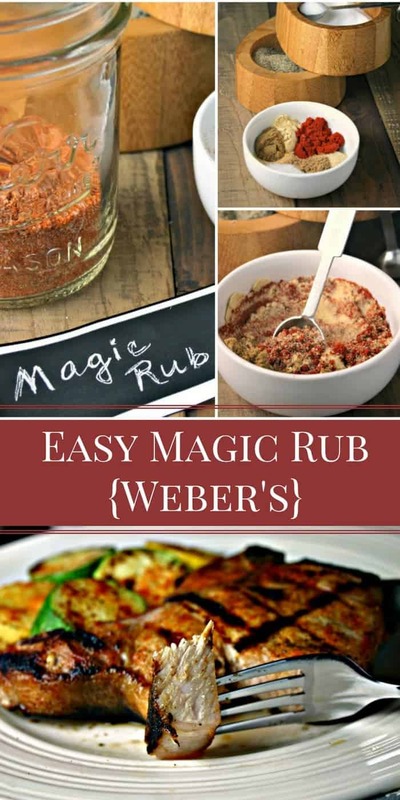 EASY Magic Rub for Grilled Chops and Veggies is my go-to option anytime I’m out of dinner ideas and I’m tired of the same ole, same ole– yes, that happens! I discovered this grilling secret in my favorite grilling cookbook, Weber’s Way to Grill by Jamie Purviance. 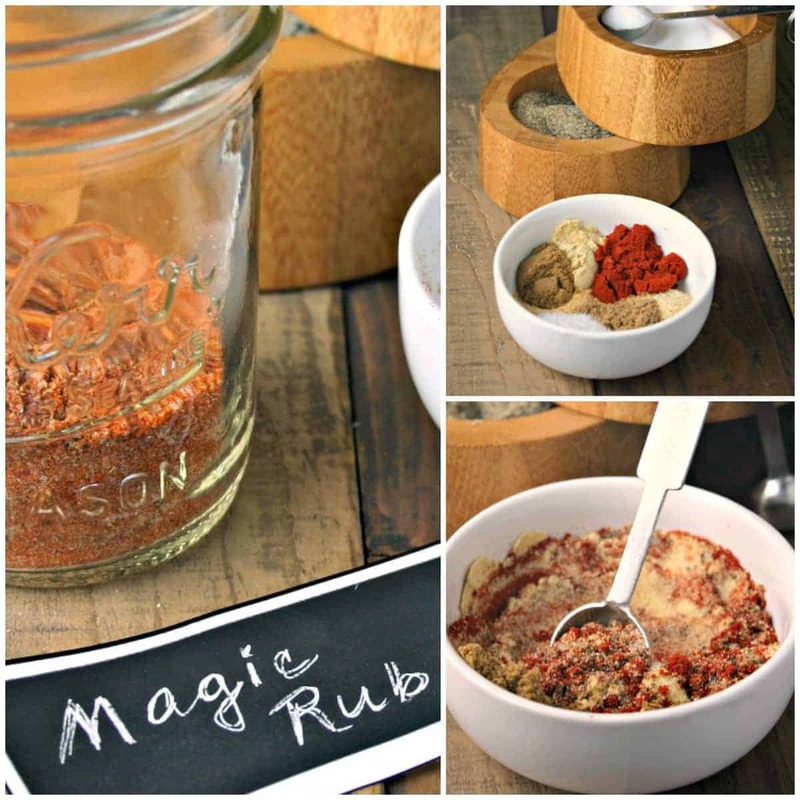 This rub is a mixture of spices that you probably already have in your pantry — paprika, onion powder, dry mustard, garlic powder, coriander, cumin, and of course, salt ‘n peppa! I like to mix up a double or triple batch and store it in a Mason jar for easy use. This stuff is especially delicious on pork chops, but works equally as well on chicken, beef, seafood, and veggies. Like the name says, “it’s magic!” To prep your chops for grilling with Magic Rub, drizzle them with a little olive oil and then sprinkle the rub onto both sides. Allow the meat to sit at room temperature for 30 minutes before grilling. Veggies are prepared much the same way. Slice veggies like zucchini, squash, onions, or peppers and place into a large bowl. Again, drizzle with a little olive oil and sprinkle on some of the Magic Rub, toss to coat evenly, and the veggies are ready for grilling immediately. 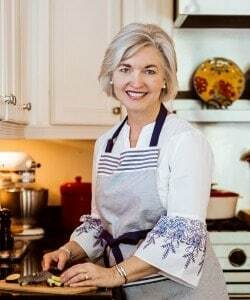 Place veggies directly on the grill grates or use a grill pan and cook just three or four minutes per side, or until the veggies are slightly charred and tender. With the oil on the veggies and chops, there’s no need to oil the grill grates. 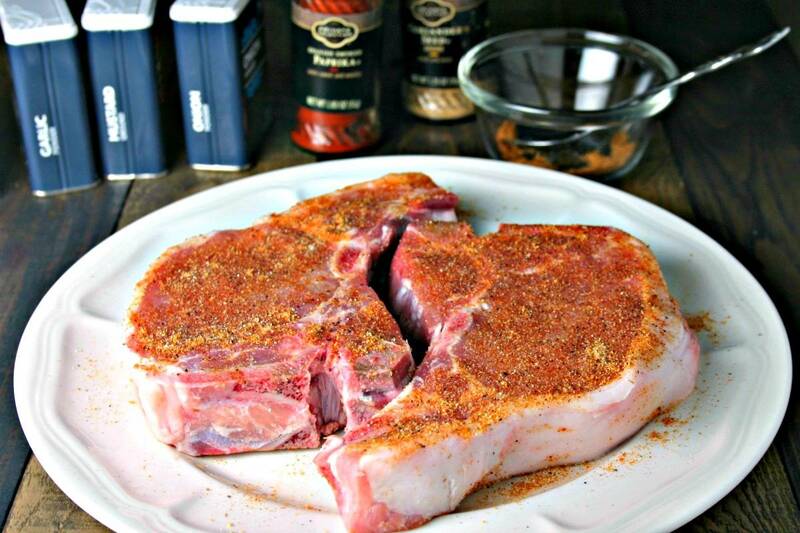 Allowing the meat to sit at room temperature and marinate in the rub results in especially juicy and tender chops. This meal really doesn’t require much effort, but the results are very satisfying! Mix spices together in a small bowl (makes 2 tablespoons rub). 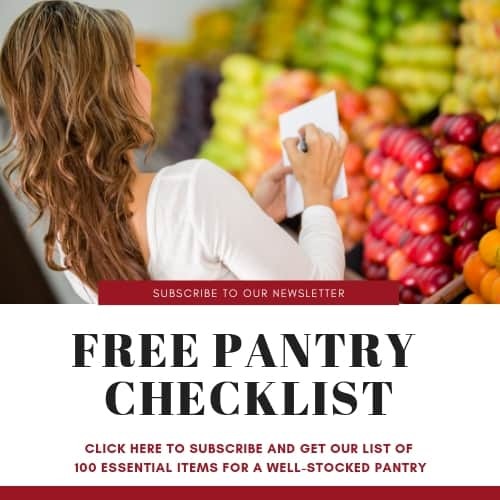 Double or triple the recipe and store in a tightly sealed container for later use. 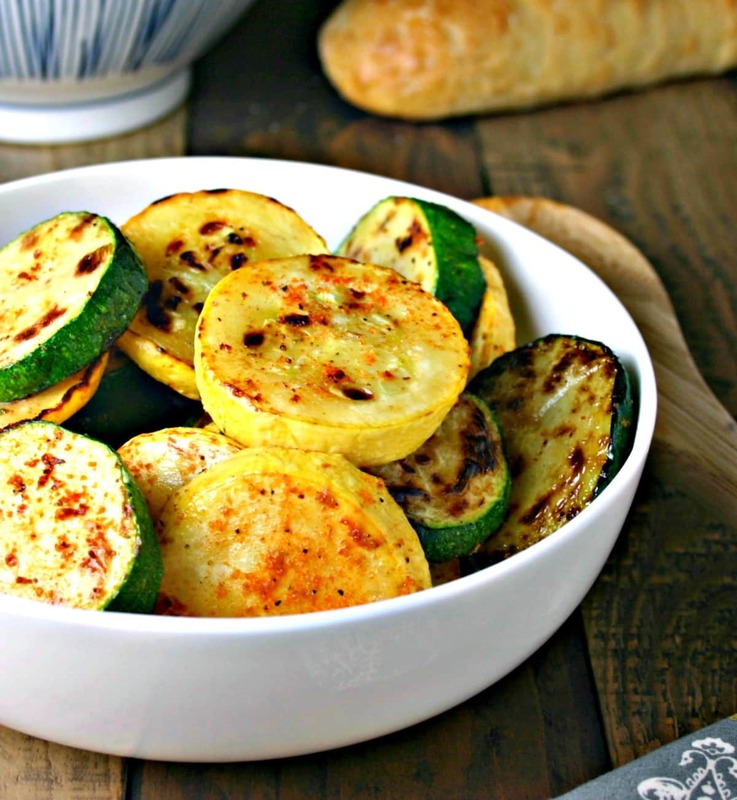 Place sliced veggies (zucchini, squash, onions, or peppers) in a large bowl and toss with 1-2 tablespoons olive oil. Sprinkle with magic rub on all sides. Grill for 3 -5 minutes over direct medium heat, turning once. 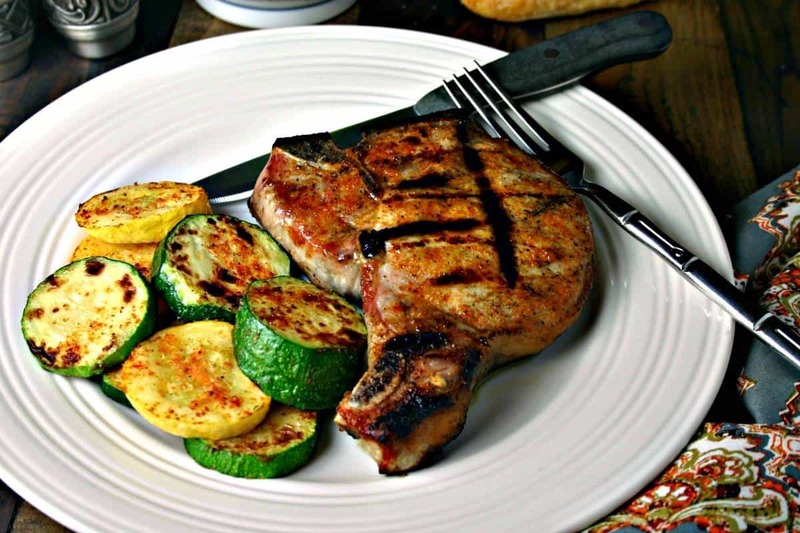 Brush 4 1-inch pork chops with 1-2 tablespoons olive oil and sprinkle with magic rub. Allow to sit at room temperature for 30 minutes. Grill over direct medium heat for 8 to 10 minutes, turning once. 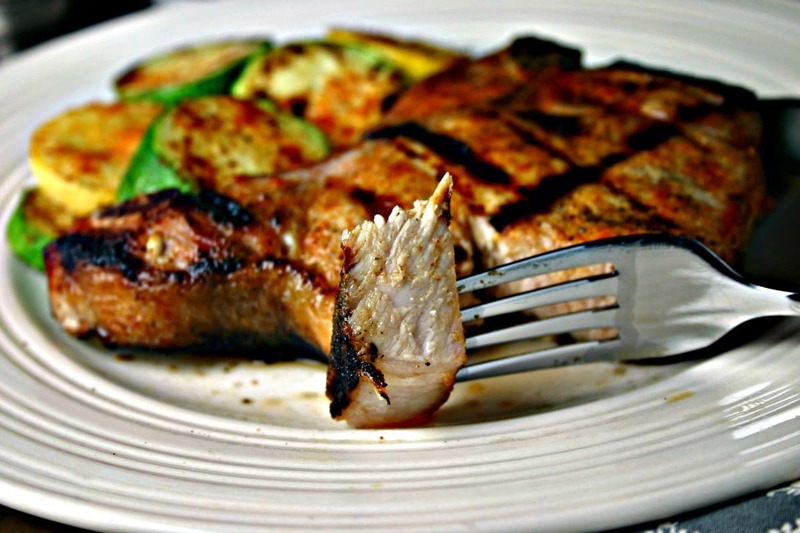 Can these pork chops be made without a grill.